As China's massive spacecraft is expected to soon come back down to Earth, many questions surround the mysterious 8.5-ton laboratory module. Although there's not an exact date the spacecraft is set to arrive, it should touch down between now and April 2018, according to The Guardian. Here's what to know about Tiangong-1, the country's first space laboratory. Tiangong-1, which means "Heavenly Palace" in English, was built to serve as a space station prototype and to pave the way for future Chinese taikonauts (astronauts). The craft—which is 34 feet long and 11 feet wide—was built in hopes of conducting "orbital docking tests and space research," Space.com reports. The astronauts sleep, eat, and conduct research in the experiment modules. A separate area houses the more technical parts of the spacecraft, including the rocket. 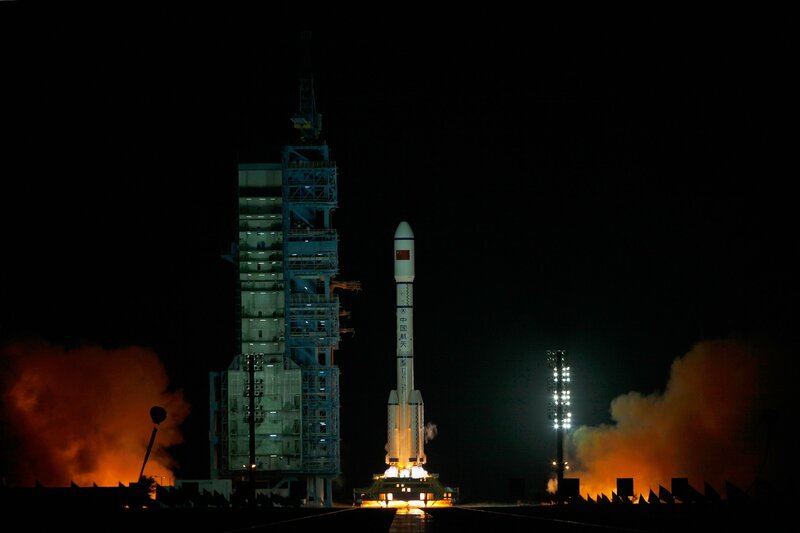 On September 29, 2011, China's National Space Administration officially launched Tiangong-1. What Missions Did Tiangong-1 Go On? The spacecraft went on a number of missions, but perhaps the most notable included a mission staffed with China's first female astronaut, Liu Yang. She was recruited to the country's space program in 2010 and within two years was aboard Tiangong-1, accompanied by two male colleagues, BBC reports. About five years after Tiangong-1 launched, Chinese officials told the public they no longer had control of the spacecraft and it would come crashing down sometime in late 2017. The September 2016 announcement came after months of rumors that the space lab was facing technical problems, The Guardian reports. But as frightening as a crashing spacecraft may sound, fortunately most of it will decay before reaching the Earth, according to Jonathan McDowell, an astrophysicist at Harvard University. However, some massive pieces may still make their way down. "You really can't steer these things," McDowell told The Guardian in 2016. "Even a couple of days before it re-enters we probably won't know better than six or seven hours, plus or minus, when it's going to come down. Not knowing when it's going to come down translates as not knowing where it's going to come down."